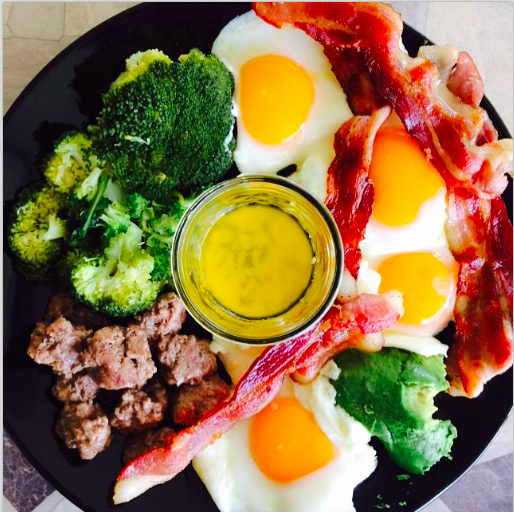 Grass fed beef, pasture raised eggs, uncured bacon, avocado, broccoli, and melted grass fed butter in the center for dipping. All organic, of course. The bacon and eggs are from our local farmers at Healthy Heritage Beef Farms. http://www.healthyheritagebeef.com Jack brings the goodies to the local Tampa Bay markets. Previous PostWhere Athletic Performance Starts in the KitchenNext PostSweet Tooth?